Resourcefulness runs deep on the high arid plains of West Texas. One way this quality has manifested itself is in the impressive tributes to faraway famous structures that locals here have erected, from the “Globe of the Great Southwest” (modeled after Shakespeare’s original Globe Theatre in London), to the popular “Stonehenge Replica” at Odessa’s state college. The leaders of Life Challenge United Pentecostal Church in Odessa weren’t trying to duplicate a famous house of worship when they opened their new campus on the city’s Grandview Avenue earlier this year, but they did want to emulate best practices from around the world, which is why they asked Sweet Southern Sound to design a new lighting system that would allow them to add more color to their stage and sanctuary. 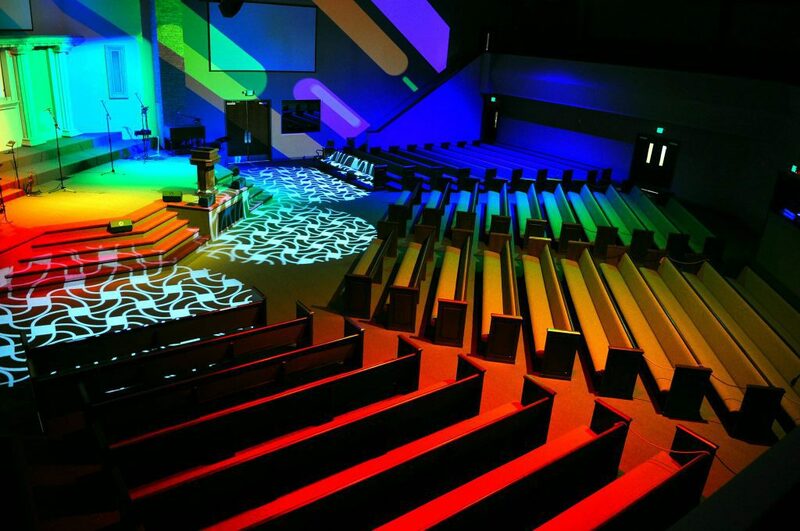 Sweet Southern Sound put together a lighting rig, created a lighting plot and wrote the programs that allowed Life Challenge Church to achieve the level of color it sought for its services. Key to their plan was the collection of CHAUVET Professional fixtures they installed at the church. The LED luminaires that were installed at the church include: four Ovation F-915FC Fresnels, eight Ovation E-910FC ellipsoidals, three Maverick MK1 Spots, 12 COLORado 1 Solo wash lights, 12 Ovation E-260WW ellipsoidals, and 14 Ovation F-265WW Fresnels. Sweet Southern Sound hung the four Ovation F-915FC Fresnels in the rig towards the back section of pews, positioning two of the units to the left of center and two right of center. Thanks to the motorized zoom and wide (30° – 85°) field angle of these fixtures, they are able to move from tight coverage areas to bathing the entire audience in color. 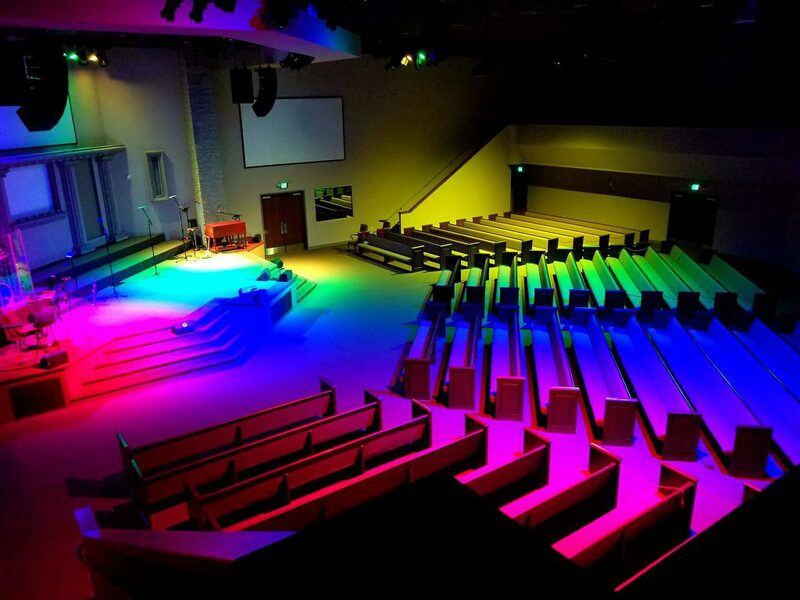 Coordinating the Fresnel units above the audience with the Ovation E-910FC RGBA-Lime ellipsoidals over the stage allows the church to create deeply immersive environments by running gradients of a color theme throughout the entire room. This was evident on Palm Sunday, when the area was bathed in hopeful shades of gold and amber. 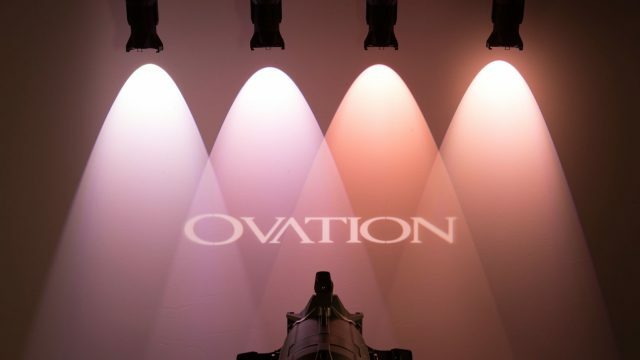 Flown from mid-stage the Ovation E-910FC ellipsoidal units are used for key lighting as well as color washing. The COLORado 1 Solo units are hung on truss positioned stage-left, stage-right and upstage. Working together, they provide the kind of colorful and engaging setting on the stage that would have been impossible to imagine with the church’s previous lighting system. The Maverick MK1 Spots are hung on LCR truss above the front pews. They are used mainly for creating textures on the stage prior to services and for special effects at key points during worship. In addition to its color rendering fixtures, the Life Challenge Church now has a collection of new warm white units. 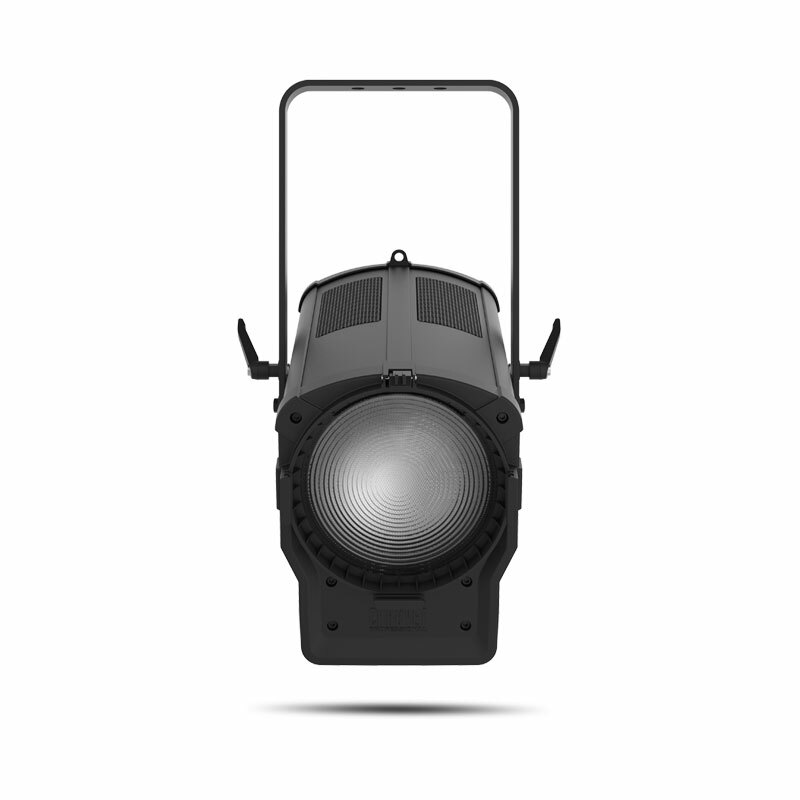 There are 16 Ovation F-265WW Fresnels and 12 Ovation E-260WW ellipsoidals, positioned throughout the rig that are used for altar and stage lighting. 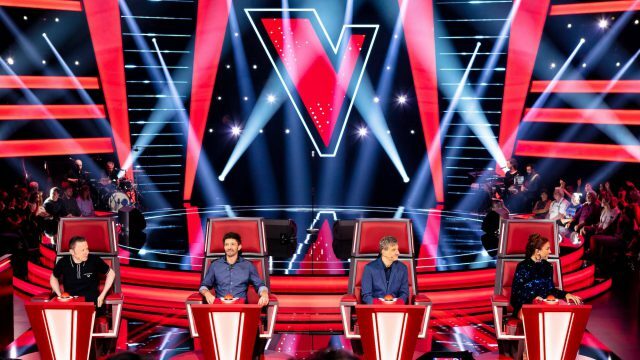 So, while Life Challenge United Pentecostal might not resemble any famous landmark, its new lighting system has created something that other churches will find worth emulating!